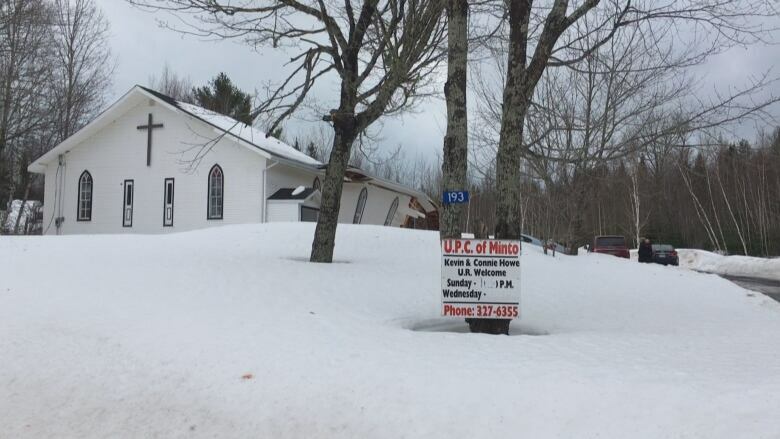 A small congregation is without a home after its church roof collapsed on Friday. 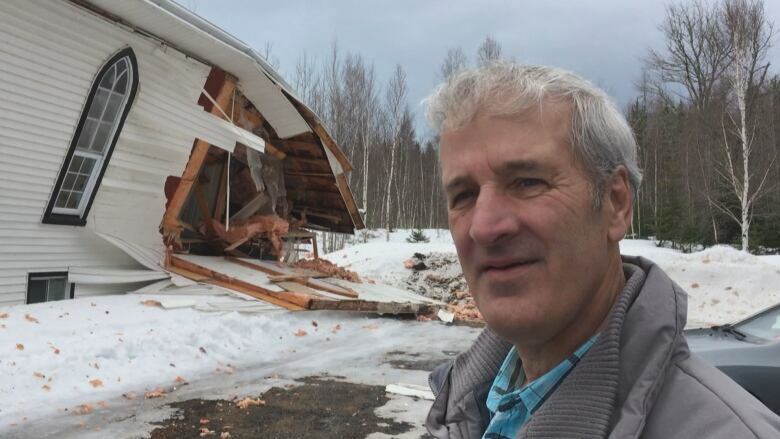 Kevin Howe stood outside his church and looked in on rubble through the gaping hole of a collapsed wall. "This is the pulpit where I would have been standing had it been Sunday," said the United Pentecostal Church pastor. The pulpit is still standing, but it's covered by splintered wood and shingles and all the rest of the debris that came down with the roof. It collapsed on Friday afternoon, seemingly under the weight of heavy snow. "It's kind of disheartening and you kind of wonder where it will go from here," he said. Still, he counts his blessings. If there had been people underneath the collapse it could have been far worse. "It's good that it happened like it did through the week. Had it been Sunday afternoon — well, different story, for sure," he said. Howe has been the pastor at the church for 13 years. The building was constructed 35 years ago. 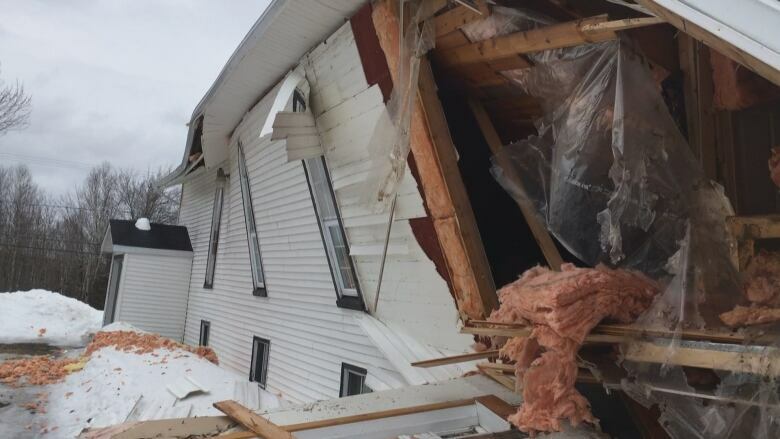 He said a neighbour notified him of the damage. "She heard this commotion, noise, and she looked out and looked over at the church and half of it was gone." He said the church's next move depends on insurance coverage. "Basically, we'll just have to wait until they tear it apart and then see what's good and what's not in there. But right now you can't even see the piano. So it's probably done." 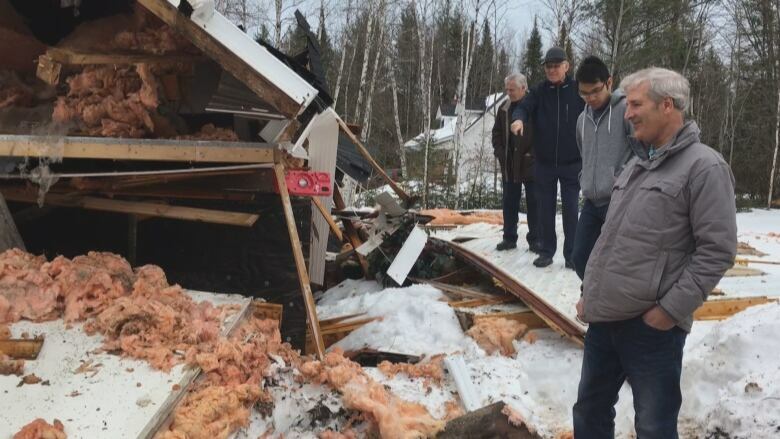 Part of the outside wall is on the ground with insulation and siding scattered about. Now the congregation of 12 is faced with rebuilding. "We'll be in contact with the insurance adjusters tomorrow. And so we just basically have to wait for them, see what they can do," he said. He hopes the church can be rebuilt on the same site. In the meantime, Howe said Sunday's service is cancelled. He's not sure where the small congregation will worship, which can be tough. Donald McCarty leads a Pentecostal church in nearby Ripples. He came to see the damage. "It's the place where you assemble," he said. "It's the place where they come together for teaching and for prayer and for study. … It's the focus of the assembly, really."